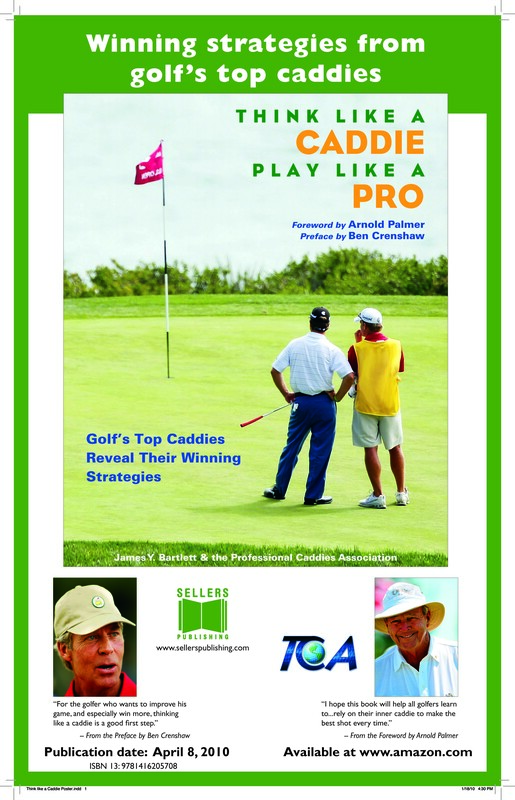 The Professional Caddies Association Foundation (www.PCAfhq.org) is now accepting nominees until Dec 1st, 2010 and beyond for 2011 for those deserving induction into the 2010 PCA Worldwide Caddie Hall of Fame. To see a list of past inductees, click here. Already set for induction this year is USGA Executive Director (and former Tuxedo Club caddie) David Fay and Tom Dressen , http://tomdreesen.com/ They will be receiving the Gene Sarazen Spirit Award. In order to receive a nomination, a person must have served for 10 years as a caddie, shown support for the game of golf, worked to help improve their life and that of others and caddies or who has had an important positive impact on golf, youth and the caddying profession. 5. Bucky Walters Caddie/Coach for the challenged golfers with special needs. "We want more people around the world to know about the Caddie Hall of Fame," said Dennis Cone, TCF (The Caddie Foundation- PCA Worldwide ) President. "We're really getting the public, along with the golfing world and industry, involved in what we are doing. It's a process over time. As people find out about it (the Caddie Hall of Fame and PCA) they say, 'This guy or lady should be in.' We want to have a caddie from every country in the world represented and sharing their start in golf someday." Based on the nominations submitted and the information gathered, the 10 members of the nominating committee, made up of PGA TOUR & LPGA golfers, professional caddies, golf writers and other dignitaries, will cast their votes. Looking for notable people who got his start as a caddie. Inducted in 2005 were Gene Sarazen, Old Tom Morris and Willie Park Sr. The first "Gene Sarazen Spirit Award " was given to Lance Barrow (CBS Producer) at Pebble Beach for being a notable person in the game of golf who got his start as a caddie. PCA is an association open to all caddies, working or retired, dedicated to elevating respect for the professional caddie and to paying homage to those who filled a special role in the history of the game. The organization and its Foundation work to provide the youth of the world the opportunity to learn both life and social skills through the game of golf and the profession of caddying, while enhancing their knowledge and interpersonal skills both on and off the course. In addition, PCA has help train over 11,000 caddie/members worldwide strive to bring back caddies to the golf courses of the world, while preserving the tradition of this greatest of all games. Visit us at www.PCAhq.com and www.PCAFhq.org Please Contact us for more details PCA JOINS THE PGA CREDIT UNION FOR ALL MEMBERS…. Other mission you can donate to FORE THE KIDS AND THE GAME. PCA/TCA Arnold Palmer Hospital-PCA/TCA " CADDIES FORE KIDS "
JOBS!, FUN, Nice folks, Learning Life and Business skills- a win FORE ALL involved FORE THE GAME AND THE KIDS. At the end of the day It's ALL about the KIDS. Join US!